Hope you had nice weekends. I’m catching up on some labs and pre-labs, some blog comments and questions and emails, and also prepping a Mexican-themed salad dressing for tonight’s dinner. I wanted to pop in quickly, though, to share my new favorite chia pudding, which is very berry chia hemp pudding: a simple concoction made from chia, homemade hemp milk, and frozen berries. This is part of my project to find a perfectly filling breakfast that also won’t weigh me down in DC summer temperatures. For two mornings straight last week, it hit the spot. A word about my homemade hemp milk: I honestly forget to make this regularly, but each time I do, I’m blown away by how rich, tasty, and downright healthy it is. I love almond milk, if only because it’s easy to buy when I don’t have time to make it, but the nutrition just doesn’t stack up next to this. Paired with antioxidant-rich berries and calcium-rich chia seeds, this is a breakfast of true champions. 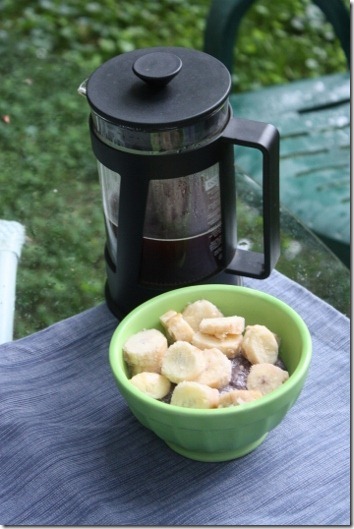 Toppings: bananas, berries, trail mix, etc. 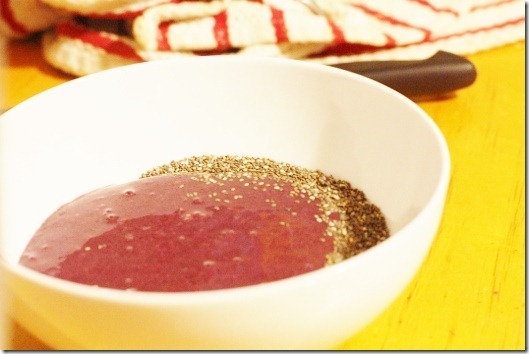 1) In a Vita-Mix or blender, blend the berries and hemp milk well. 2) Pour the mix — which will be very thick and smoothie-like–over your chia seeds. Don’t worry about the fact that it’s so thick; it’ll melt overnight in the fridge and loosen up. 3) Refrigerate overnight and serve with toppings of choice. Speaking of nutrients and nutrient density, I was pleased to get so much feedback on my request for your most wanted nutrient/vitamin/mineral topics. Looks like a post on sweeteners is in store! If you haven’t weighed in and want to, leave me a comment tonight letting me know what’s on your mind! Sorry for the quickie post, friends, but I have a summer evening that’s calling my name. See you back here tomorrow with some musings on relationship between EDs, recovery, veganism, and the touchy topic of putting certain foods off limits. The last time I tried to make chia pudding, it didn’t gelatinize! (I think it’s because the recipe didn’t call for enough rest time.) I should bookmark this one though, because I love a good berry smoothie, so I’m sure I’d love it in pudding form! I always have frozen fruit in my freezer. You’re definitely the best at taking the basics (and the not so basics too!) and doing something inventive with them. I’m looking forward to reading your post on nutrients. Nutrition is one of my favorite topics to learn about/discuss. woo! needed something to keep me busy this evening so i just prepped this; it’s chillin’ (literally, metaphorically) in the fridge until breakfast. the ‘batter’ tastes pretty good already, so i’m kind of pumped … haha… thanks for the recipe! Looks delicious! I have a sunflower lecithin question, for the hemp milk: Should I use granulated or liquid? Is there a difference? I literally know nothing about either! “the touchy topic of putting certain foods off limits.”— ooooh, that will be a good read, I am sure already. Have a wonderful week, Gena! I would love to know more of your thoughts on sweeteners, particularly agave. I know you are not 100% against it, but more people I know are moving away from it because it is pretty similar to HFCS. I know for me it is a similar reaction to regular cane sugar, so I have moved away from it. That is the downside to hemp milk for me, it is nutritious, but it can get bitter and needs sweetening whereas almond milk I like plain. I guess I just go with more hemp seeds sprinkled on top. You are reminding me it’s time to make some more almond milk, for chia puddings! brown rice syrup, if you do that kind of thing, is a good alternative to agave! Hey Gena! Your pudding looks amazing! And no doubt would that milk make it even more amazing. I love your no-nonsense approach to food and eating. It has to be good, and it has to be REAL fuel for your body. You use amazing food to fuel the life you want. And that is a page from your book we could all use. I am really looking forward to your post on sweeteners, it is a ‘sticky’ topic to be sure! 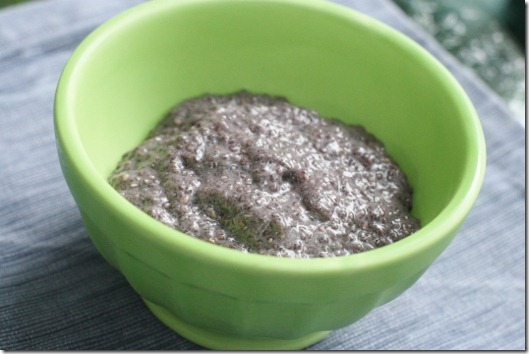 I have been jonesing for chia pudding all of last week. This is just the inspiration I need! Thanks Gena! Ever since I bought chia last week, I’ve been eating it every day. I toss a handful of frozen raspberries in, add some cinnamon, and pour some almond milk over and let it sit overnight. The raspberries have a similar texture to the chia and it turns all kinds of awesome. I’m *so* glad I got the chia! My new favorite ingredient. Ooo I look forward to that post – honoured that you took my suggestion! And clearly judging by this post good-ole berries are often the best sweeteners! 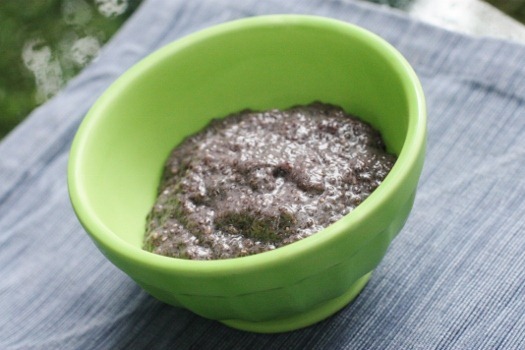 Mmm, chia pudding. 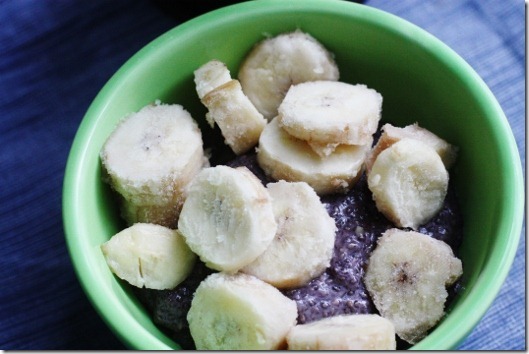 I’ll usually just mush up a banana with a fork, mix it with some water, mix in a few tablespoons of chia seeds and let it sit overnight. Suuuuper yummy and hydrating. This looks so good and is reminding me I have yet to buy sunflower lecithin, which I need to make hemp milk (I couldn’t deal with the separating of the batch I made without lecithin). Hope you had a great day, Gena. Your pudding sounds great! I just said “great” twice. I did not get a great night of sleep last night. I’m sorry. I’m a fan of hemp milk too and make it more than almond milk, much creamier and faster to make with no soaking and straining required. This pudding looks fabulous and I can’t wait to try it – thanks! YUM! Looks delicious 🙂 I haven’t had chia in ages…gotta change that! Umm this looks too amazing and so freakin simple. LOVE. I would love you to talk about your thoughts on coconut sugar/nectar vs maple syrup vs agave. Also if you could talk about clear vs dark agave because I have heard so much mixed info on which is better. Also have you ever used Nu-natural stevia for baking? Super interested in your take on low glycemic sweetners because I try to eat as anti-candida as possible but love baking and deserts! Oooof that’s a lot, sorry! But can’t wait to hear your thoughts. 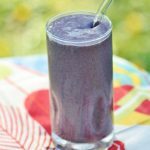 I love hemp milk but haven’t tried making my own version quite yet! I did have a chia seed pudding for breakfast this morning – chia, flax, quinoa flakes, chocolate sun warrior and strawberries and it was amazing so thanks for the ongoing inspiration. I would love to find out more about vegan calcium sources, I’m really looking forward to all your nutrition posts! 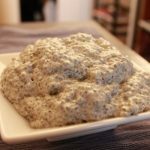 I was first introduced to chia with your chai pudding. Since then, chia has become a staple in my cupboards and I don’t travel anywhere without taking a container with me. Our local stawberries are just coming out. This pudding will be a great addition to my regular breakfasts. I have a topic idea for your future nutrient/vitamin/mineral posts. I am curious about more info on Vitamin B-12 and Vitamin D. Thanks!! Looking forward to your next post and glad that you’re enjoying summer evenings. I hope your yard is beautiful and has a good balance of light and shade. Dang, that looks tasty. 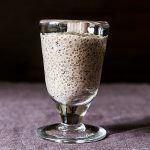 I absolutely love chia puddings, they are my favorite comfort food and they are so easy to make! I can’t wait to try your recipe. 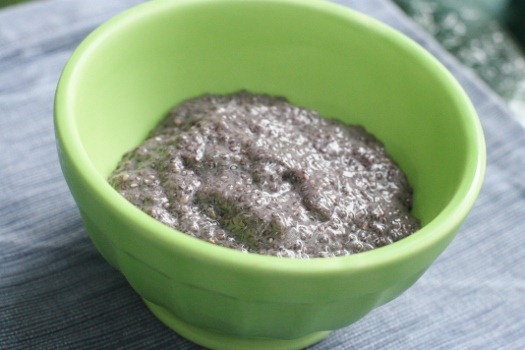 I have a couple of chia seed pudding recipes of my own, but yours super filling and delish. Oops, there’s a word missing there! 🙁 Sorry! This looks so good! 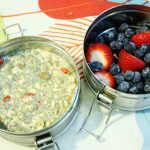 I just made my first bowl of overnight oats/chia porrage this morning and it turned out wonderful! Can’t wait to try this with the berries. Such a tough balance for a “recovered/recovering/constantly working at it” ED type, the restriction thing. But I do find certain foods just don’t work for me. When I leave them out for the most part I feel bette. But then when I DO indulge, or just happen to have few other options and go ahead and have the restricted food, the challenge is to just be ok with it, move on to the next day and get back to the “regularly scheduled program”. Looking forward to the discussion! And, I am not a fan of protein powders. I find they all (even Vega, sorry!) just taste like something fake. And not only that, but I wonder if for the most part I get my nutrients from the whole foods I eat. On the other hand, sometimes I feel low, and wonder if supplementation is in order. So what’s your feeling on protein powders, how much, when, their necessity? Long time reader but first time poster! 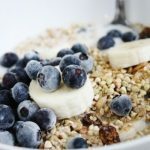 Love your recipes and your blog.I’m a little late on this post but can you please tell me how long the hemp milk would stay in the fridge? Making this tonight, G! Just thought I’d let you know the first link to your hemp milk recipe is broken.